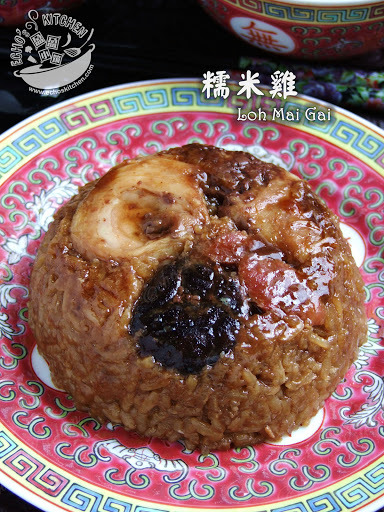 This steamed sticky rice is my absolute favourite in Dim Sum place back in Malaysia. It is also a family favorite with mom making it very often at home. Since I can’t be possibly finding the same dish at the Dim Sum place in the USA, I have to get the recipe from mom and make it at home! 1. Soaked glutinous rice for at least 3 hours. Also soak mushrooms and Chinese sausage for around 10 minutes, remove casing and sliced the sausage. 2. Chop chicken into 1.5 inches pieces. Marinate the chicken, mushrooms and sliced sausage with all ingredients listed under “For Chicken" for at least 1 hour. 3. Heat up 2 tbsp of oil in a cooking wok, stir in sliced shallot and fry until fragrant, or you can use ready made fried shallot. Drained glutinous rice and add it into the wok, stir fry with all seasoning listed under glutinous rice until the rice is a little crispy. 5. Pour in a cup of water and continue cooking until the rice slightly softened. Let cool. 6. Place 2 pieces of chicken, 2 mushrooms and 2 slices of sausage in the bottom of 6 rice bowls, add a tsp of the marination sauce in it. 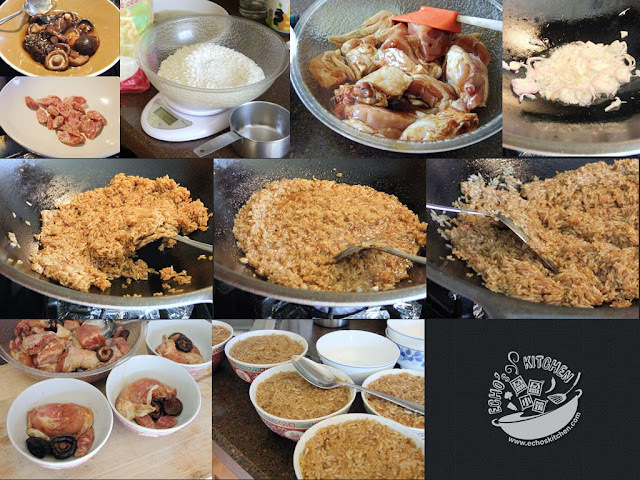 Scoop out the half-cooked rice and divide into 6 equal parts, covering the chicken pieces, press the rice down using the back of a spoon. Add 2-3 tbsp of water over the rice. 7. Steam rice for 35 minutes, serve hot with some chili sauce. My son A’s eating patterns changes time after time, I normally go with the flow and focusing more on creating a possitive dining experience than counting what really goes into his little mouth. Over time he has developed interests with different type of foods and is more willing to try new stuff. Since he is now handling spoon and fork well, I have started introducing more of clear soup into his diet. This ABC soup is one of the soup that he really enjoys, he likes it with some rice in it or just as it is. 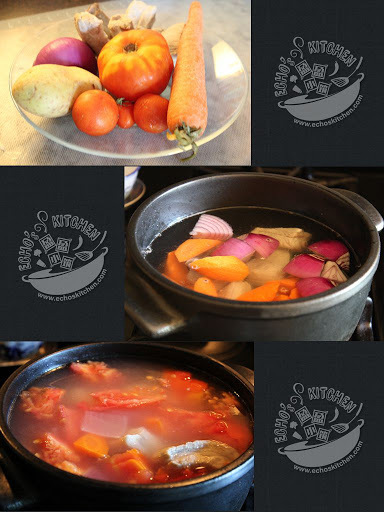 This soup allows me to sneak in more veggies and liquid into his meal, not to mention that I enjoy the soup as much ! Note：You can also add corn, cabbage for this soup. 1. Blanch and clean spare ribs, add 2/3 pot of water (around 8 cups), bring to boil and cook at medium for 5-8 minutes. 2. Peel potato and carrot, cut into pieces, you can also cut carrots into flower shapes using cookie cutter. Cut tomato into big pieces and keep aside. 3. Add potato, carrot and onion into the pot, continue cooking at medium for 30 minutes. Add tomato and cook for 2-3 minutes, season with salt. Sometime the best food that brings us right back to our memories are the simplest of all. 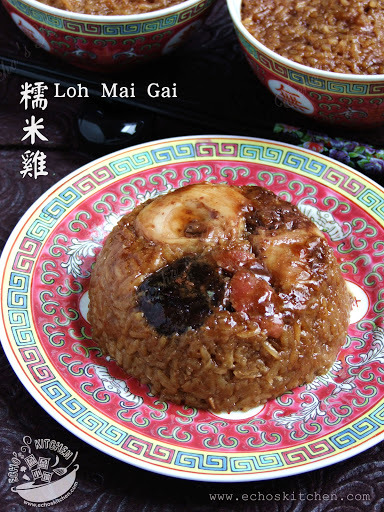 Just like this fried rice,it is easy to prepare, and tasty to eat. The only trick is to have the right ingredients. Malaysian out there… do you all miss this simple Nasi Goreng Kampung? 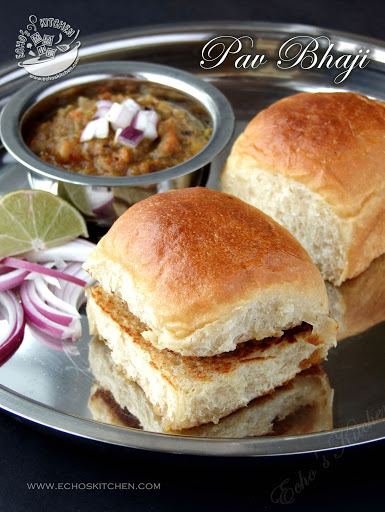 Many of our friends are strict vegetarians and Mumbai Pav Bhaji is one of our favourite snacks during gets together. 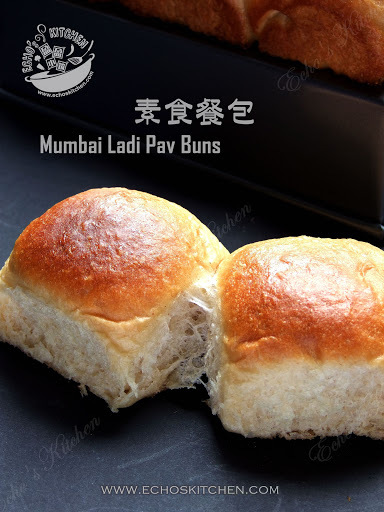 I used to prepare this snack using the shop bought Pav/dinner rolls, until one time a bag of those Pav were left in the refrigerator and forgotten for close to a month! Long after its supposed best consumption date. What shocked me the most was that the Pav were still as soft and fresh as it was first brought home, as an amateur baker, I know immediately that without additives and chemical ingredients, it is almost impossible to achieve such consistency! That was the last time I brought those Pavs home. 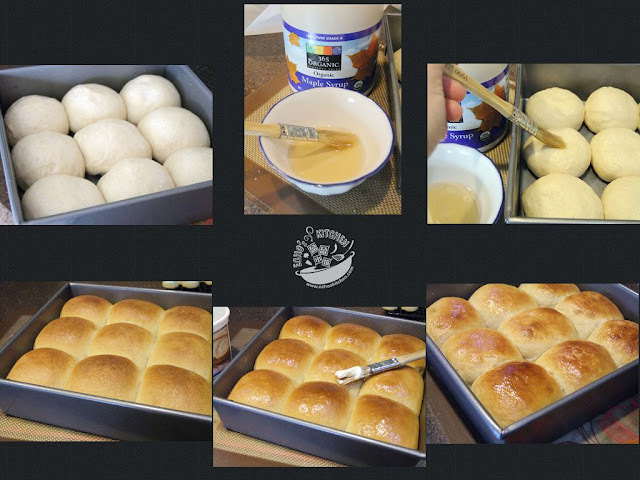 We hosted a farewell party for a family yesterday and I wanted to make Pav Bhaji with home made Pav/dinner rolls. Since my friends are strict vegetarian, thus the Pav has to be eggless. I started scrolling the internet 3 days before the party in search for a good vegetarian Pav recipe, to my surprise, not only there are less than handful of recipes available, the few that made its way to fame are mediocre to say the least. I then decided to take things in my own hands. With a lot of calculation, a long thought process and 5 hands on attempts, I created a version of Pav that not only matches my taste, it has also passed the color, texture and softness tests! A keeper for me and you should try it too! 1. 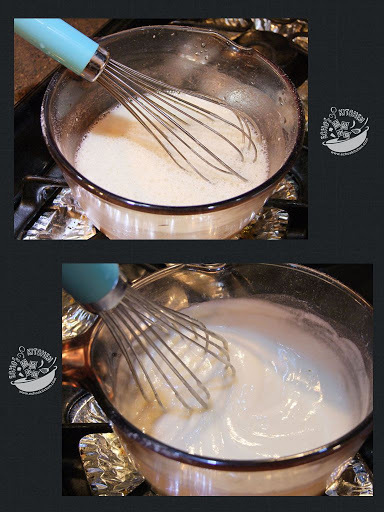 To make water roux/Tangzhong, whisk together water and bread flour until fully incorporated. 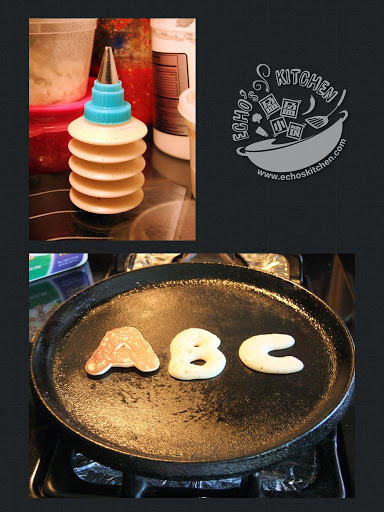 Heat up on the stove at medium low and continuously stirring using a whisk until thickened. When the consistency is custard-like, it is ready. Let cool. 2. 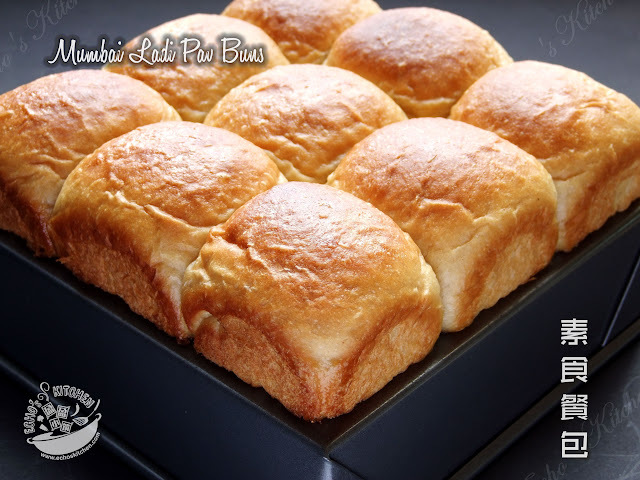 Place all wet ingredients under dough in the bread machine or stand mixer, add active dry yeast, sugar and water roux, give it a quick stir before adding homemade bread flour and salt. 3. Break old dough into smaller pieces before adding to the machine, this will help to spread the old dough better. 4. 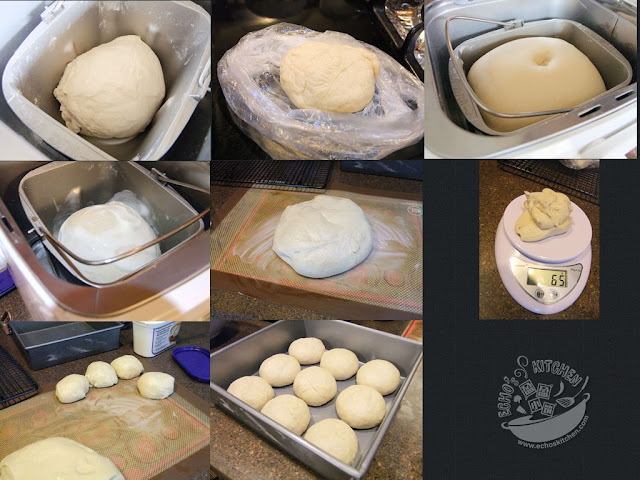 Start the dough process on the bread machine and knead the dough for 26 minutes. I am using a Zhojirushi mini, the dough/cookie/pasta process takes 13 minutes for one cycle, I ran it twice. Cover the lid and let the dough rise to double its size, it takes around 30-45 minutes, depending on the weather/temperature in the room. Note：To check if your dough is rising well, use a finger dusted with little flour and poke a hole into the dough, if the hole does not bounce back, it is ready. 5. Run the dough process again to knead out air in the dough, 1 minute into the process, add butter/Margarine/coconut oil and continue kneading until all of butter/Margarine/coconut oil disappeared.（takes around 8 minutes). 6. Spread a thin layer of butter/Margarine/coconut oil over rhe counter top, place the dough over the counter and cut out 100 gm worth of dough and set aside (Note 1). Divide remaining dough into 9 equal piece, it should be around 65 gm each, shape into balls and place in 8-inch square pan, let rise in warm place. Note 1：Store this dough in a zip lock bag and store in fridge/freezer to be used as old dough in your next batch of Pav. 7. When the dough is about 70-80% of doubling in size, (takes about 20-30 minutes). Preheat the oven to 330F （165F), mix 1.5 tsp of water with 1/2 tsp of maple syrup/molasses/honey, brush the mixture over the bread dough, wait for 1-2 minutes and brush another layer. 8. Bake in preheated oven for 20-22 minutes or until done, remove from oven and brush a layer of butter immediately over the pavs, remove from pan and place over a cooling rack. Store in an airtight container or ziploc bag once it is cooled.